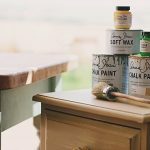 I discovered Chalk Paint™ by Annie Sloan just a few years ago when a good friend of mine decided to take me out on a little road trip to brighten my day after undergoing major back surgery. 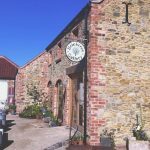 We drove for about 20 minutes out from by home in Grimsby to the wonderful countryside in the heart of the Lincolnshire Wolds and arrived at Bricktree Gallery for the first time. Whilst there, I discovered Annie’s paint. 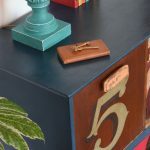 I had painted furniture in the past, with all the sanding, priming and preparation of the old methods, so was more than a little intrigued to hear how this magical paint (with minimal preparation) would work out for me. I decided to make a purchase with a promise to myself that once I felt better I would give it a go. After a few short months, I was hooked like most…this furniture paint just seemed to do I wanted it to. 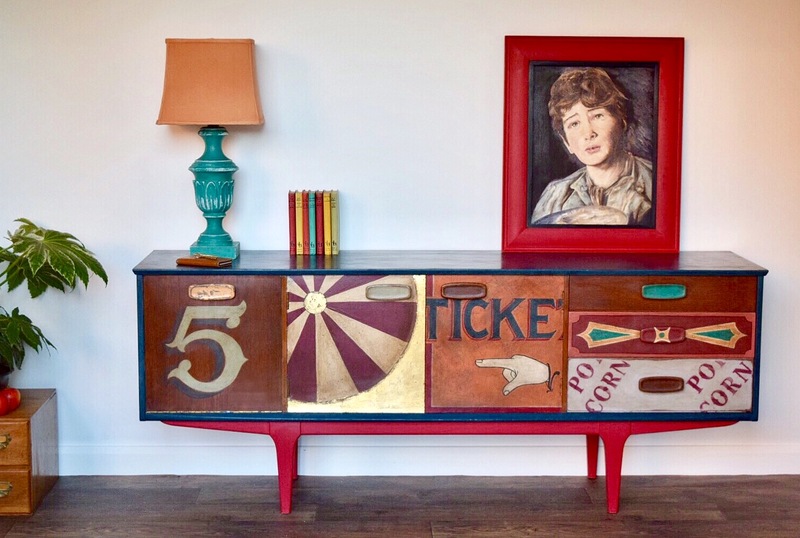 I decided to do a bit of research on Facebook to see what other people had been doing with it and found the amazing Annie Sloan Q&A forum where I shared a couple of my projects and caught the attention of Annie herself. We corresponded privately and she suggested that I create my own Facebook page to showcase my work which I did and my following soon grew. With just a few more messages later from Annie she mentioned her Painter in Residence initiative. 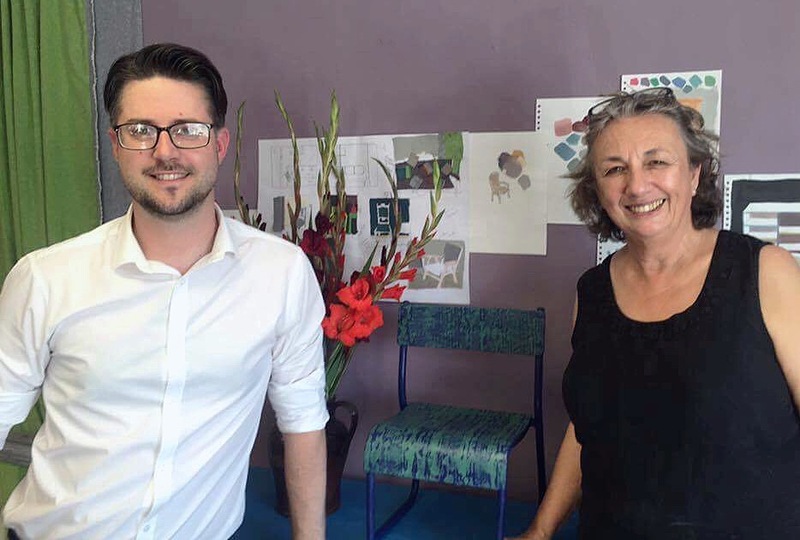 Annie was always encouraging me and keeping a keen eye on my work, sharing a few of my projects along the way on her page. It wasn’t long before she had asked me to visit her in Oxford to discuss the potential of me taking on this challenge. I visited Annie and her team at HQ in Oxford March 2016, and was so very excited. 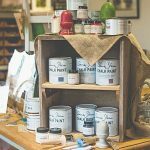 I felt a bit like Charlie in the Chocolate factory, only it was all about paint! We sat down and discussed me creating a collection for my tenure as Painter in Residence. One of the things I admire most about Annie and her paint, is her ever evolving style and taste, pushing the boundaries of creativity. So brief in hand, I knew the challenge was considerable and returned to Lincolnshire, secure in the knowledge that I wanted to make sure that my collection was unique to me, yet showcased the great, yet accessible things anyone can do with Chalk Paint™ by Annie Sloan. Back home, I set about thinking how I would create my collection. Already I’d covered a variety of styles and genres in the work Annie has shared so far so such as my mid century modern coffee table inspired by Homemaker and a #MixitMonday post on a rustic kitchen table I painted in Madeira. So to come up with something new would be tricky as my work was already broad and varied! Choosing what to create, I knew that I wanted to incorporate a lot of the techniques and styles that I had learned through experimenting with colour mixing, stencilling, using clear, dark, black and white waxes, gilding across all of my other projects. 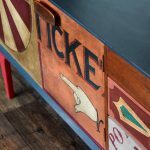 I realised that I could bring both style and technique together by focusing on my love of typography and signage along with my passion for mixing different periods and styles of furniture. The result? 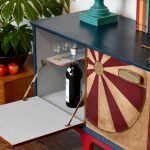 A piece of furniture from one era that can be reworked, reloved, painted and styled to create something totally unique that doesn’t have to be what you expect it to be. 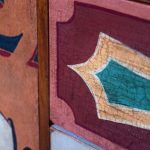 You can find more on all my Painter in Residence projects with links to Annie’s blog here. Etsy – here we come!